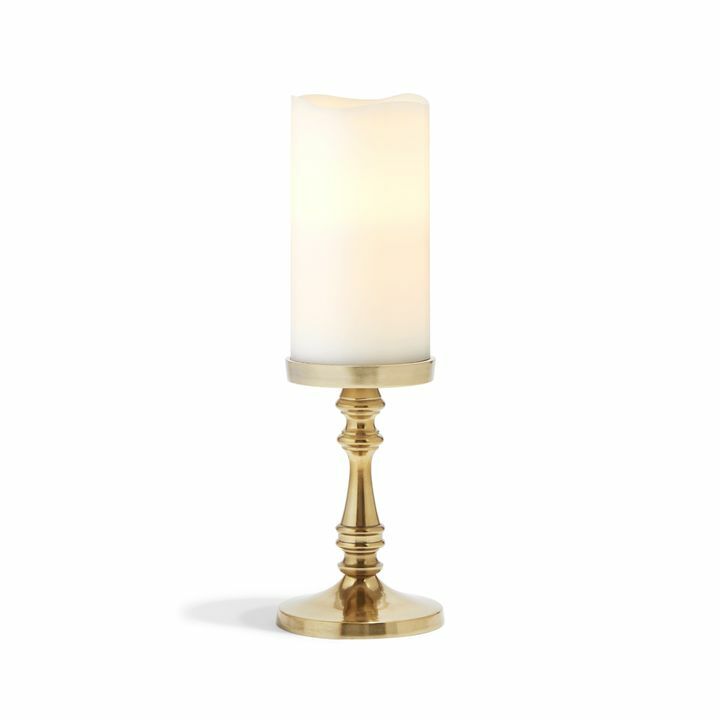 There are only 227 available of the Somerset Brass Pillar Candle Holder, Small. Your selected quantity has been adjusted. Please note, each of our products are hand finished - as a result, products may have subtle variations in finish color. 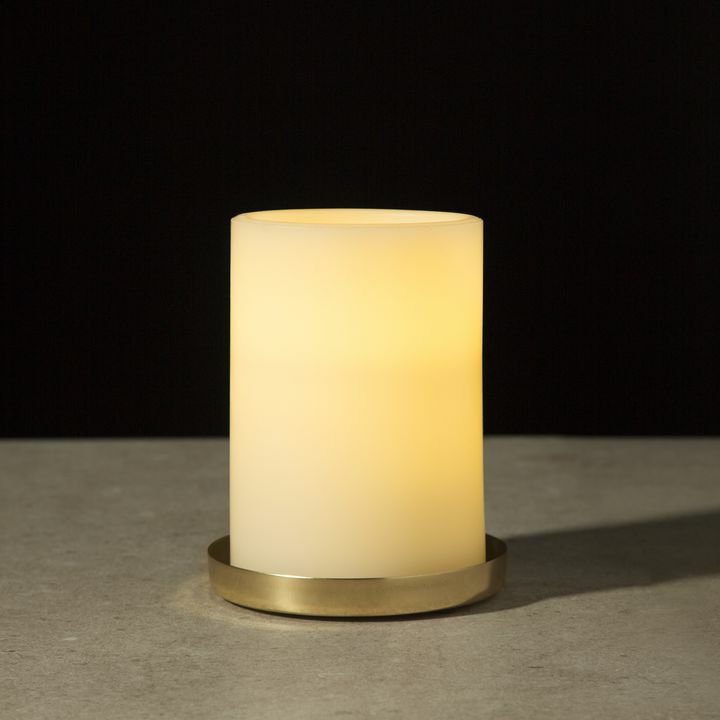 This classic, brass, finial shaped candle holder is reminiscent of quintessential woodwork turnings. 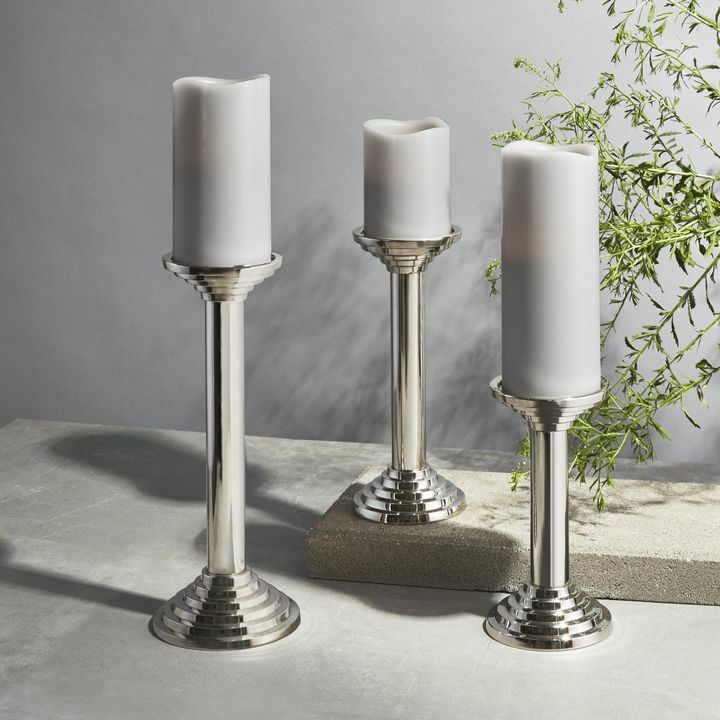 Perfect as a fixture of a handsome centerpiece or as a charming accessory to a bedside table. Perfect for home, weddings, churches, restaurants, and events. 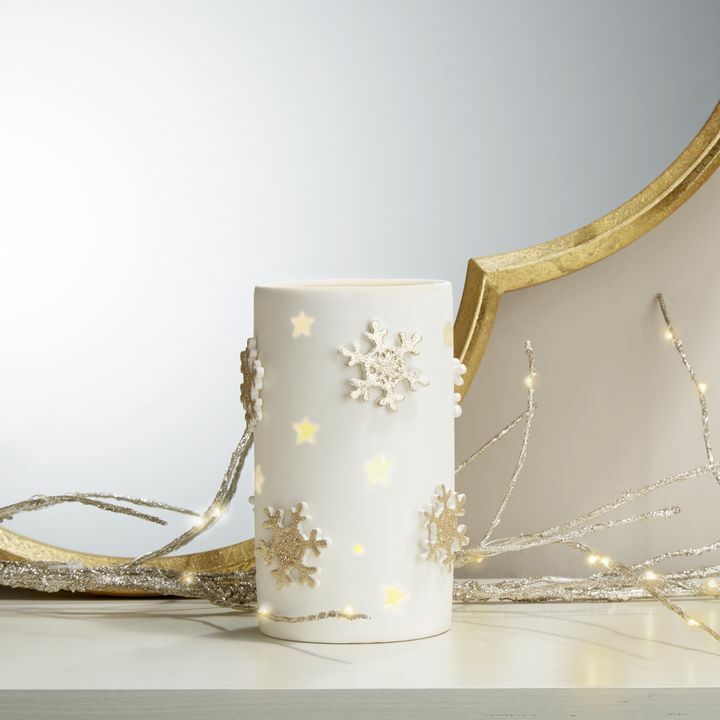 **Please note candles are not included with this product. Even prettier than in the photos. Very, very nice. I own an Event Decor business and we are always looking for unique elements to incorporate to our centerpieces. 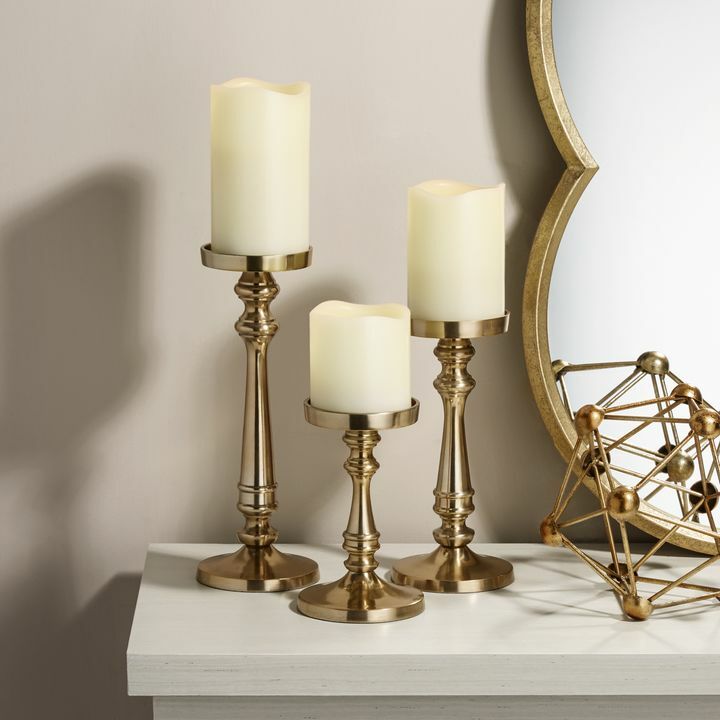 These candles pedestals are beautiful and elevate the luxurious appeal to any decor. This is exactly what we were looking for--and you can't beat the price! 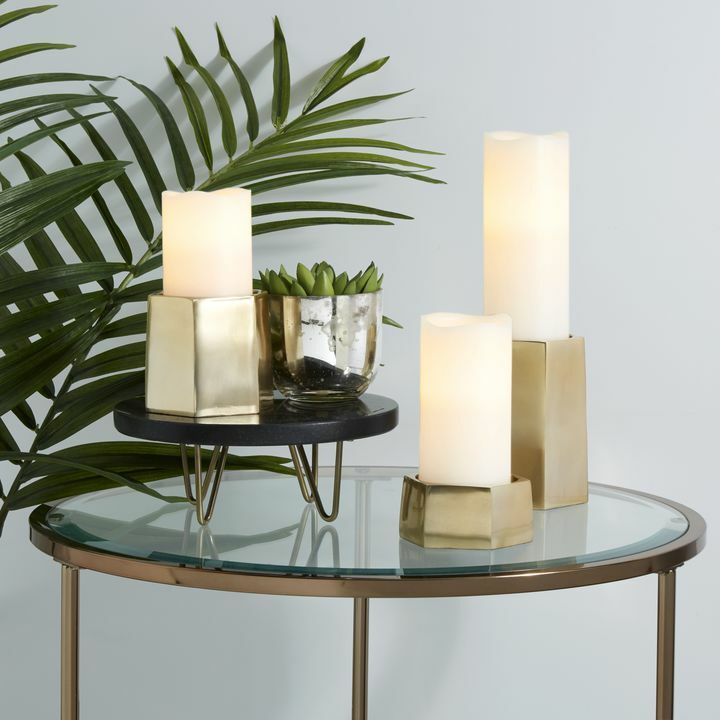 I was looking for the perfect idea for centerpieces for my 2019 wedding and lights.com didn't disappoint!!!! These are beautiful and of excellent quality. Shipping is a little steep and took a while to arrive considering the price, but these are 100% worth it!! I purchased 13 small gold candlesticks. They are great quality and exactly what I was looking for. Fast shipping too. I will be ordering the next 2 heights soon to complete the look. They are beautiful and great quality. I was impressed with the felted bottom. 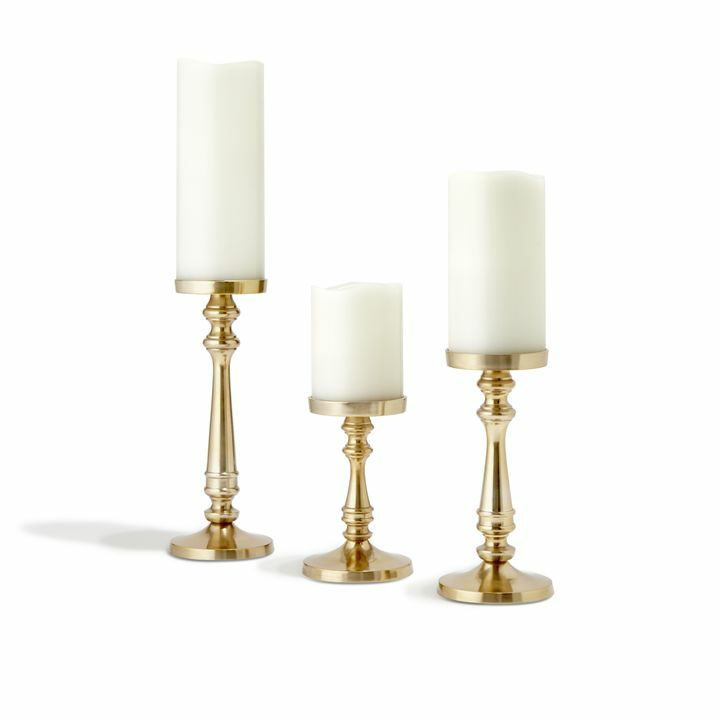 It's difficult to find brass metal varying size pillar candlesticks. 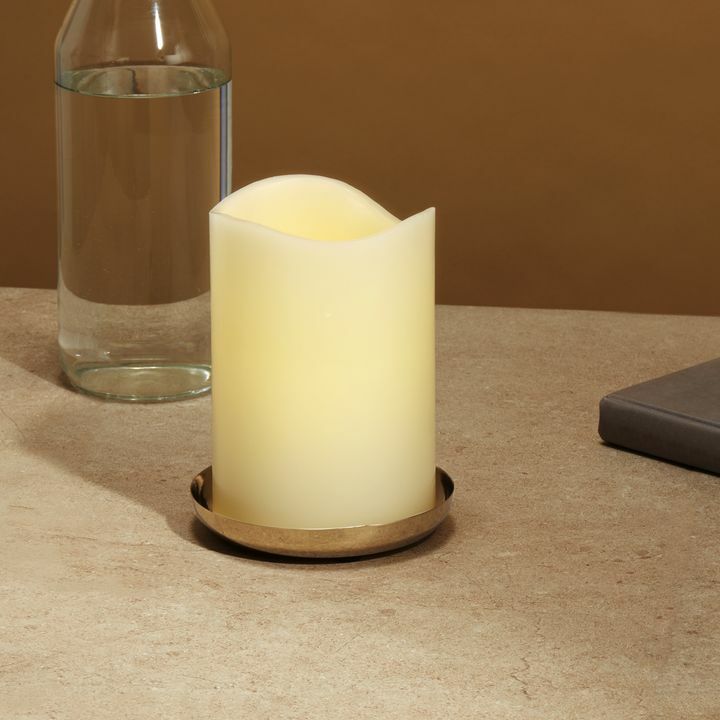 Is the top of candle holder diameter 3 inches? 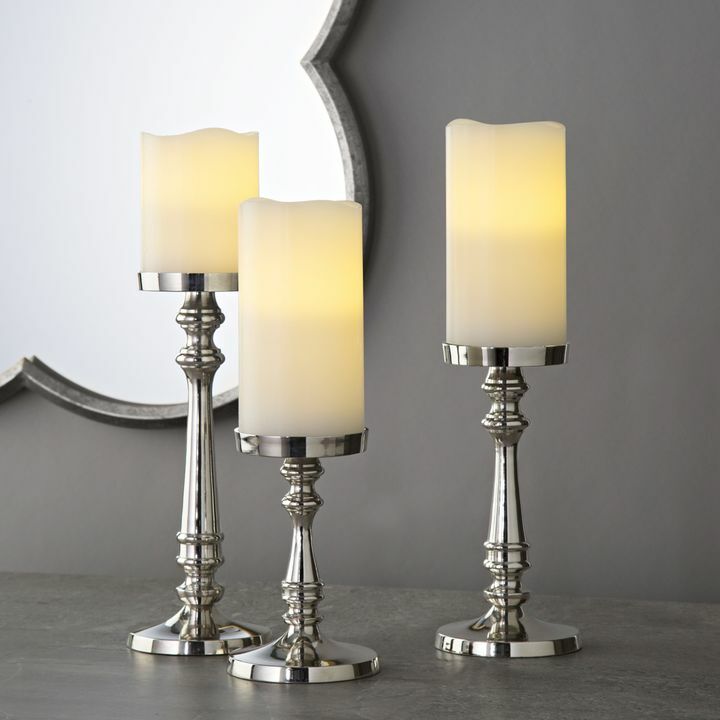 I am trying to purchase a hurricane or chimney glass to hold candle for safety. What would it accommodate? 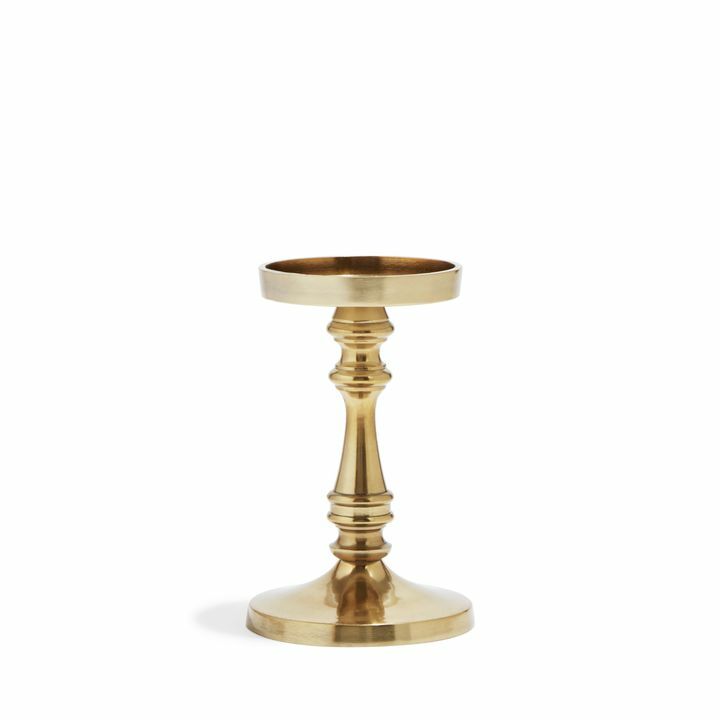 The top of the Somerset Brass Pillar Candle Holder can accommodate a glass thats up to 3" in diameter. We haven't tried adding a hurricaine or chimney glass to the holder. We'd love to see photos if you like the way it looks! 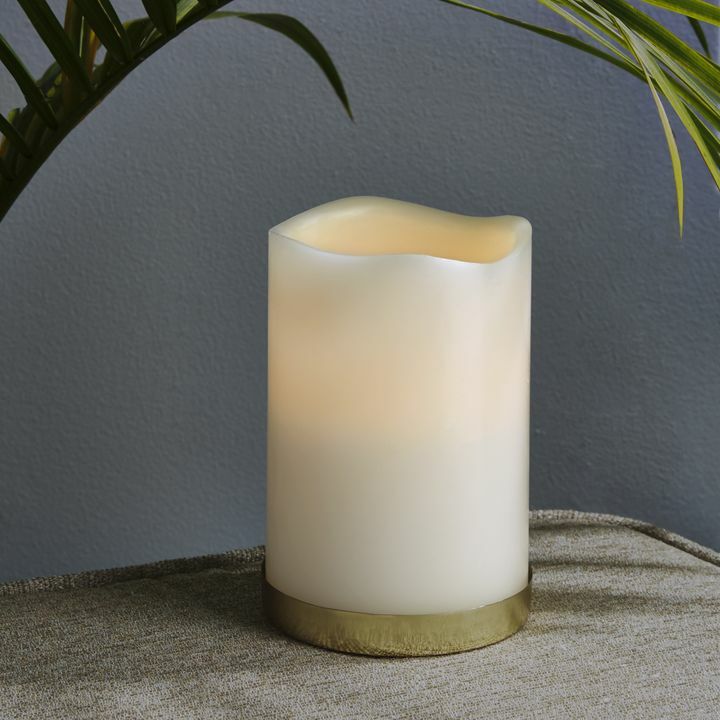 May we also recomend the safest type of candle that doesn't need any glass to stay lit? 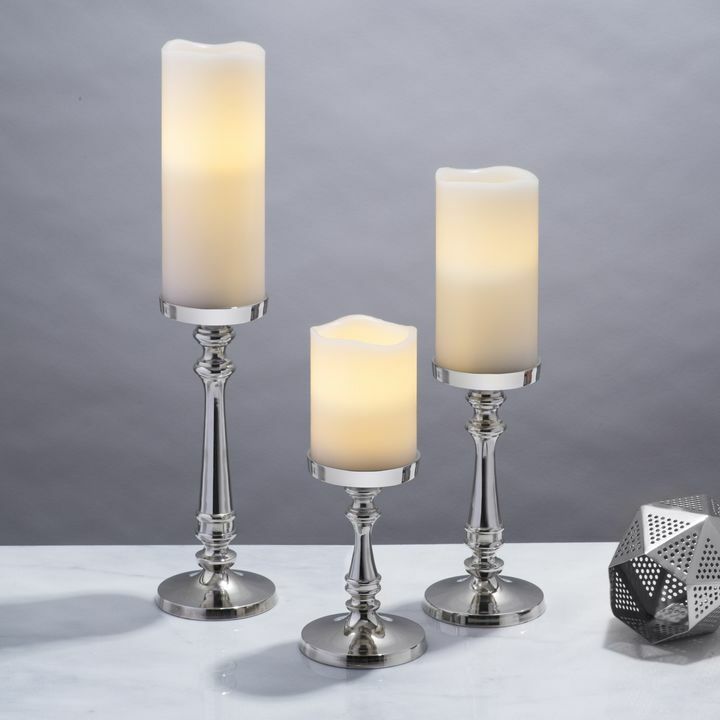 Check out our selection of flameless pilar candles right here. How many comes for the price of $15? 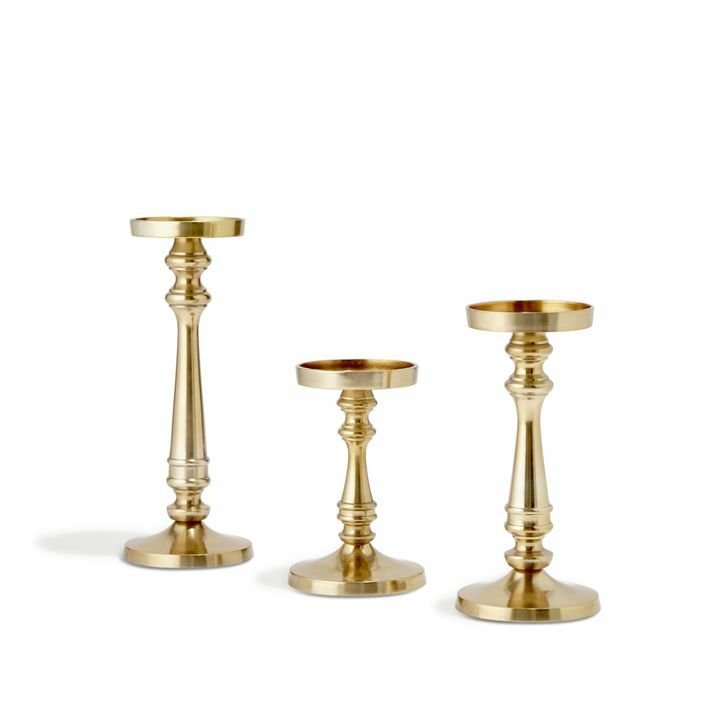 1 Somerset Brass Pillar Candle Holder is $15.00. What are these made of? Are they metal? 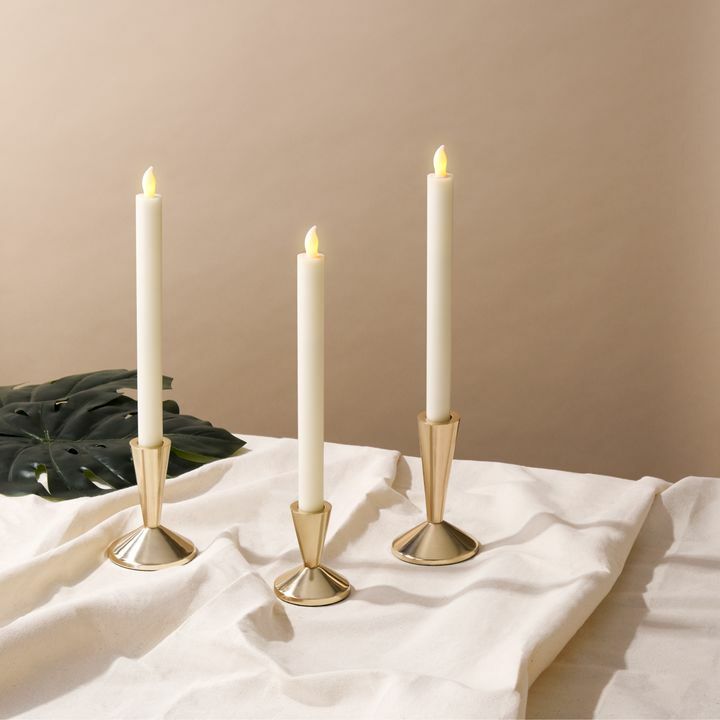 The Somerset Brass Pillar Candle Holder, Small is made with aluminium with a brass finish. Glistening snow. Sparkling lights. It's the season of shine. 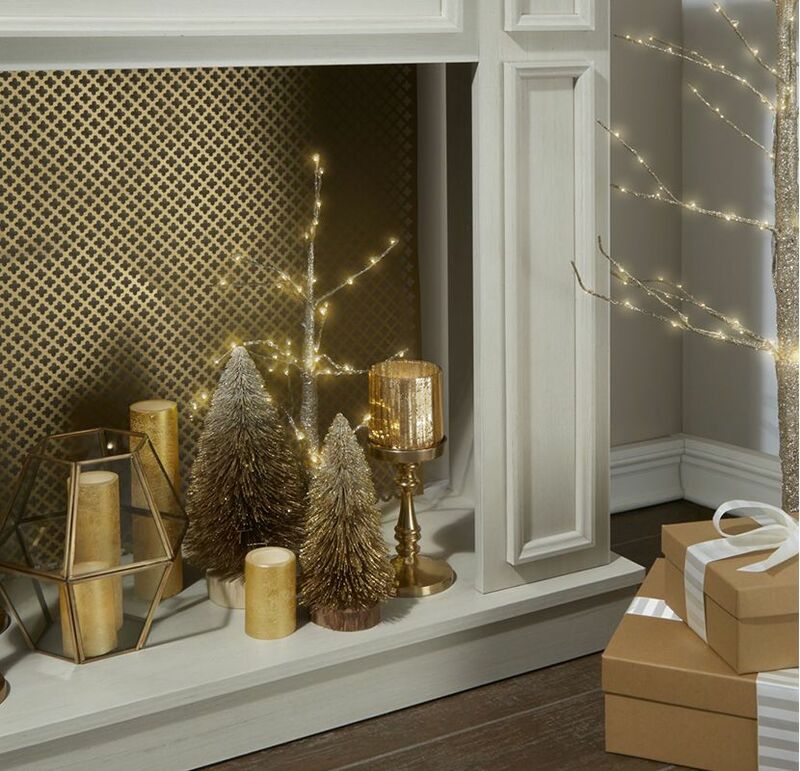 Dress your home for the occasion with festive decor in the most inviting metal. Julian Brass Pillar Plate, 4"
Julian Brass Pillar Plate, 5"
Orly Brass Pillar Plate, 5"